Are you going to build an eCommerce store? If yes, then you should be very careful in finding the best Web Hosting. You will get a lot of providers offering different discounts, add-ons, etc. But your success lies in finding the best provider. Aspiration Hosting is one of the best Hosting Providers who gives important Customer Satisfaction with our unbeatable service. You can check our customer reviews to know how faithfully our team works for our customers to grow their business with Aspiration Hosting. The success of your online store is in the hands of your hosting providers. Just imagine a situation where you are having an online store powered by Magento. But when the customers are entering your site if they are experiencing some issues like slow loading pages, error messages, etc. Consequently, this will ruin your business within minutes. You have the best eCommerce platform, but you can’t do anything with your platform because let’s face it, it’s all about your hosting. Hopefully, you are now feeling the importance of choosing the best hosting provider. Let’s check what all are the factors we should consider when choosing a hosting. You are recommended to choose a provider who is an expert in handling Magento related issues. A web host who really knows Magento will help you from beginning to end, set up your store. So that you can avoid the common mistakes during set up and also make sure your store is secure. We at Aspiration Hosting are one of the top Hosting Companies. We take pride in our infrastructure and also support. With our main client base utilizing the awesomeness of Magento, means our technicians and developers are very familiar with it and it’s inner workings. WordPress? Don’t fret, we’re experts! Ensure that your hosting company blocks the spammers, adult websites, etc to avoid your site getting on blacklisted. Make sure your site is secured with SSL and also that you have daily backups done. Aspiration Hosting offers a range of SSL Certificates to suit different business needs. SSH Access is also included and it can be enabled easily with our automated system. We provide an additional MySQL Backup daily (stored up to 30 days). Likewise, daily files and database backup powered by R1Soft Server Backup (stored up to 10 days). You have to worry about tech support if you are running an eCommerce store. Make sure your hosting provider offers 24/7 support. You can choose a provider with lower response time and also with a reasonable rate. We at Aspiration Hosting provide 24/7 topnotch technical support. Our Technical Support is always available through Helpdesk and also Live Chat. Along with this, we offer 30 day money back guarantee if you are unsatisfied with our services. 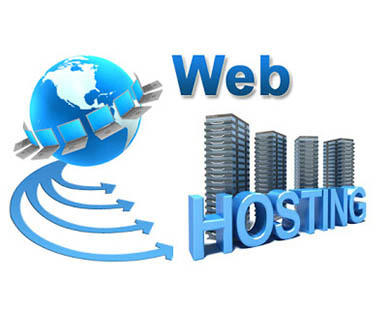 Hope these tips will help you while choosing the best Web Hosting. Always remember that the support from your provider decides the future of your store. If you have any questions moving to Magento we are here to help you.